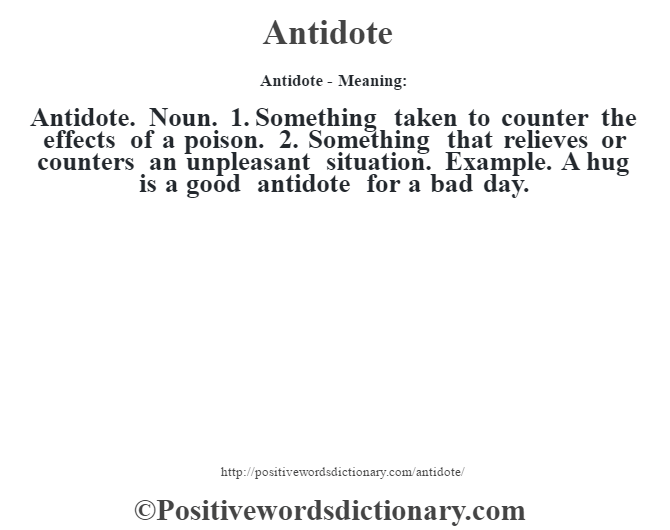 Antidote. Noun. 1. Something taken to counter the effects of a poison. 2. Something that relieves or counters an unpleasant situation. Example. A hug is a good antidote for a bad day.